This really resonated with me. Even though I am a ‘straight in and out’ person, when I was growing up we always had a calendar behind the toilet door. I knew those calendars so well that I can remember the photographs and text even now. My father used to work for Sappi (South African Pulp and Paper Industries), who had the most fantastic calendars, featuring the most beautiful photographs and information about flora and fauna. I learned so much from those calendars just from seeing them on that door! 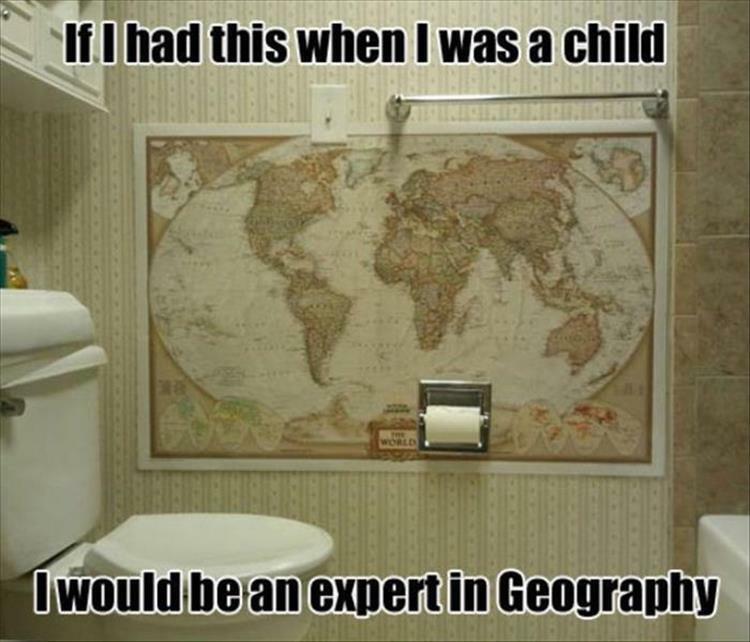 I would have LOVED a world map on the wall in our loo and would probably have remembered all the capitals and the locations of the countries to this day – what a skill! My dentist in South Africa used to put things on the ceiling above his chair. Where’s Waldo, those 3D pictures that were popular at one stage, and maps. 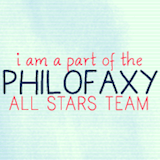 I learned quite a lot from them as well, though it was not as enjoyable! It did, however keep my mind off things! 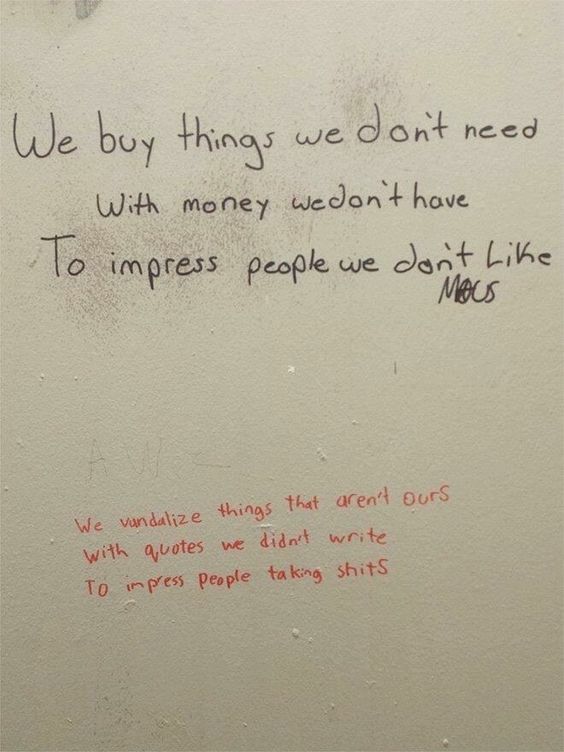 I never see graffitti in toilets but this photo tickled me.